Parents of children with disabilities could have more educational freedom in 2018. North Carolina’s first ever Education Savings Account (ESA) was approved during the 2017 Legislative Session and will provide $3 million in state funds to help offset educational expenses for families of students with specific disabilities who wish to attend nonpublic schools. 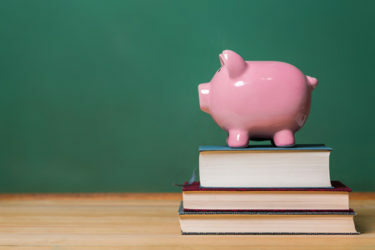 Parents of eligible students now have three options for possible school funding: 1) the new Education Savings Account; 2) the Children With Disabilities Grant Program; and 3) the Opportunity Scholarship Program. It’s possible that some children will qualify for all three grants, however, there is not an unlimited source of funds. Beginning next school year, parents with eligible students with disabilities can apply for up to $9,000 per year to pay for nonpublic educational expenses, including tuition, tutoring, educational therapies, technology, and textbooks. The total allocated by the NC General Assembly for the 2018-19 school year is $3 million. Want to know if your child is eligible, click here to take this quick survey. Children with Disabilities Grant Program. This grant allows families of children with certain disabilities to apply for qualifying expenses up to $8,000 a year. This is a needs-based program that allows families with lower incomes to apply for educational scholarship grants of up to $4,200 per child, per year to help cover the costs of sending their children to a participating non-public school. The NC General Assembly appropriated $44.8 million for 10,700 Opportunity Scholarships during the 2018-2019 school year, and $54.8 million for 13,100 scholarships during the 2019-2020 school year. If you need help figuring out which program/s might work for your family, you can consult the specific links in the first paragraph of this story, or go to the North Carolina State Education Assistance Authority website at ncseaa.edu. The application period begins February 1, 2018 for the new ESA and the current Opportunity Scholarship programs. Children with Disabilities Grant applications will be taken beginning May 1, 2018.